TOP STORY: Coutinho to United? Reports differ on Coutinho's compatriot. Some claim that he's unhappy in Paris and begging Barcelona to bring him back; others that he's not going anywhere. But United are, reportedly, revving their engines in case the first domino falls. 23.30 GMT: That will do it for tonight's edition of Transfer Talk LIVE. Remember to check back in a few hours for more fresh rumours, links and completed deals. Have a good night! 23.10 GMT: We discussed Man United's interest in Barcelona's Philippe Coutinho earlier but the Red Devils are also being linked with another Champions League midfielder. That midfielder is Roma's Lorenzo Pellegrini. Italian outlet Il Messaggero has listed United, along with with Arsenal and Chelsea, as clubs lining up to sign the 22-year-old Italian. Pellegrini is said to have a £27 million release clause and has been with Roma since graduating from the youth ranks in 2015. Also linked with a move to Old Trafford is Roma midfielder Lorenzo Pellegrini. 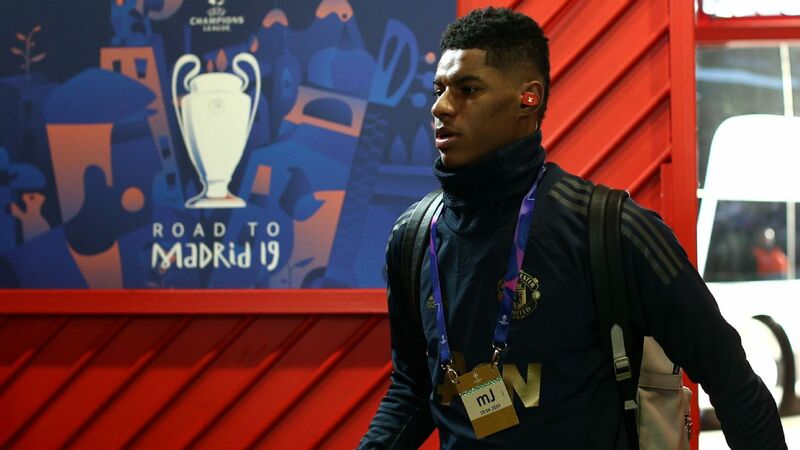 Italian media outlet Il Messaggero has said that United, along with Arsenal and Chelsea, are at the front of the queue to sign the 22-year-old who is said to have a £27m release clause in his current contract. Pellegrini has started just nine Serie A games this season although started for Italy in the UEFA Nations League in September. 22.15 GMT: Leo Bonatini was one of Wolves' key players during their Championship promotion campaign of 2017-18 but the step up to the Premier League has seen the Brazilian become a forgotten man. After scoring 12 goals last season, Bonatini has just one so far this campaign, as he has been overtaken by Raul Jimenez as Wolves' starting striker. The Daily Mail now claims the player is in talks with Greek giants PAOK about a possible January move. Having started only two games all campaign, it should come as no surprise that Bonatini would be seeking an escape route in the hopes of more first-team football. 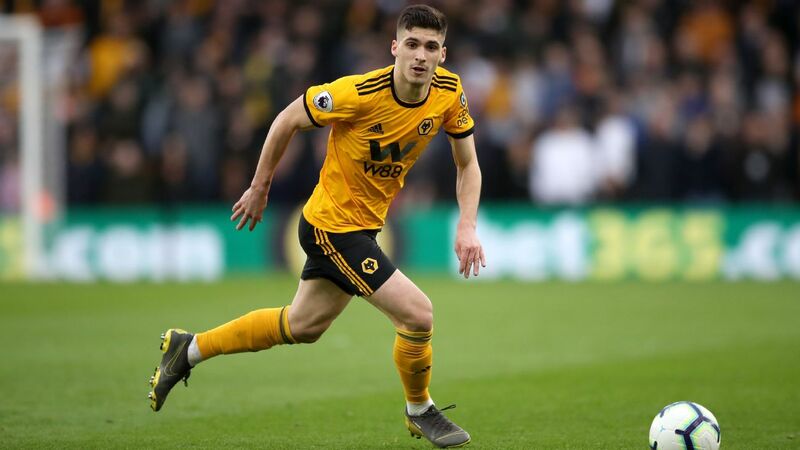 Wolves have also been rumoured to be in the market for another striker, so don't be surprised to see Bonatini leave the Molineux in the few weeks. 21.39 GMT: Pep Guardiola has said Man City will not sign any new players in January but that hasn't stopped the Italian press from speculating. TuttoMercatoWeb writes that City are plotting a €100 million move for Napoli defensive midfielder Allan. The Brazilian is also being closely monitored by PSG and would be viewed by City as a replacement for the aging and sometimes injury-prone Fernandinho. The 28-year-old has played in Serie A since 2012-13 and recently broke into the Brazil national team picture, earning his first two caps last November. City clearly lack cover in the destroyer midfielder role but will Guardiola stick to his word and stand pat or will Man City open up the pocketbooks again? 20.44 GMT: Locked in a real relegation fight, help could soon be on the way for Fulham. Dutch paper De Telegraaf claims that Netherlands international Ryan Babel is set to move to London and join the Cottagers on loan for the next six months. The report goes on to say the attacker will be inspected on Tuesday before signing for Claudio Ranieri's club. 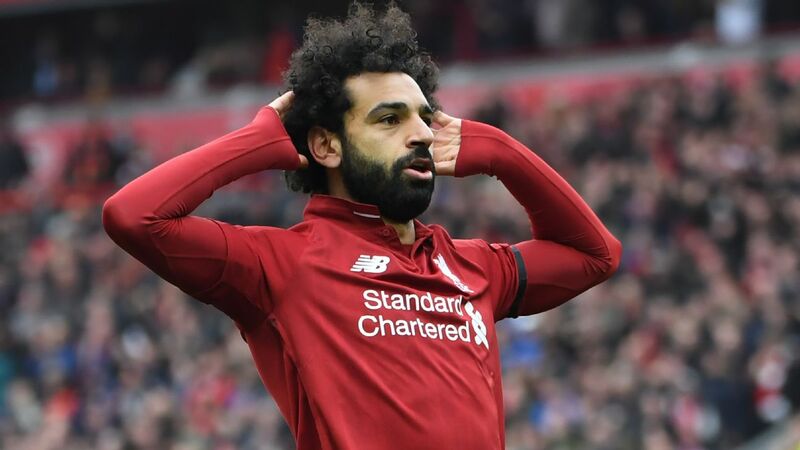 The ex-Liverpool forward, now 32, has been with Turkish giants Besiktas since 2017 and has undergone a career resurgence both at club and international level over the past year. Babel has six goals so far this season for Besiktas and would likely be deployed on the wing at Fulham with Aleksandar Mitrovic playing as the central striker. 20.00 GMT: Staying in the United States, Minnesota United of MLS have reportedly turned their attention to France and Ligue 1. Jeff Reuter of The Athletic reports that the Loons are targeting Reims full-back Romain Metanire. The 28-year-old has played for Reims since 2016 and previously had a spell in France with Metz. The Madagascar international has played just five times in Ligue 1 this season and would be a coup for a Minnesota defence that shipped 71 goals in 34 games last season, tied for the second worst mark in MLS. According to the Washington Post's Steve Goff, D.C. United's Ian Harkes is close to signing with Scottish Premier League side Dundee United. Harkes flew to Scotland overnight and attended Dundee United's match today. Barring late issues, he will sign the contract Monday. Fresh start for young American. Harkes, 23, was the collegiate soccer player of the year in 2017 and is of course the son of former United States international and Premier League midfielder John Harkes. Harkes scored four goals in 37 games for D.C. United but recently did not have his contract renewed by the club. The former U.S. Under-20 international's expected move is helped by the fact he already has a UK passport, and Harkes will hope a fresh start in Scotland can ignite his professional career. 18.16 GMT: A year after forcing a move from Liverpool to Barcelona, Philippe Coutinho is being linked with a move back to the Premier League. The grass has not been as green as the Brazilian expected in La Liga, with Coutinho struggling to lock down a regular starting role with Barcelona. Coutinho has scored 16 goals and layed on 10 assists in 46 games for the Blaugrana since arriving last January but recently has fallen out of Ernesto Valverde's first-choice starting XI. Spanish publication Mundo Deportivo reports that Manchester United have contacted Coutinho's agents to gauge their interest in a potential move to Old Trafford. The Red Devils have been flying it since Ole Gunnar Solskjaer took over and just the thought of Coutinho and Paul Pogba playing alongside each other in the same midfield is downright scary! 17.21 GMT: Gonzalo Higuain starts for AC Milan in their Coppa Italia clash at Sampdoria -- despite strong reports of a move to Chelsea. 16.55 GMT: Manchester City face the prospect of losing another of their young talents, if reports in The Sun are to be believed, with an article claiming Rabbi Matondo, 18, has turned down a new contract offer. 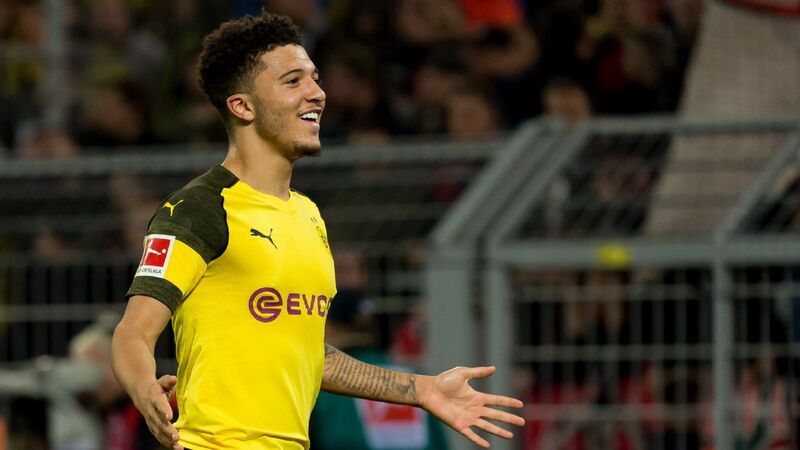 Brahim Diaz recently left join Real Madrid, while Jadon Sancho has shown his quality after trading the Etihad for Borussia Dortmund. 16.30 GMT: Inter Milan are keen to sign Manchester United captain Antonio Valencia in the summer, according to The Mirror. The ex-Wigan man's contract will expire at the end of the season and the report adds United have no plans to offer him an extension. 16.06 GMT: Real Madrid are interested in signing Paulo Dybala from Real Madrid, with Tuttosport reporting a swap deal for Isco could being lined up. Florentino Perez is keen to bring in a big name to fill the void left by the departure of Cristiano Ronaldo. 15. 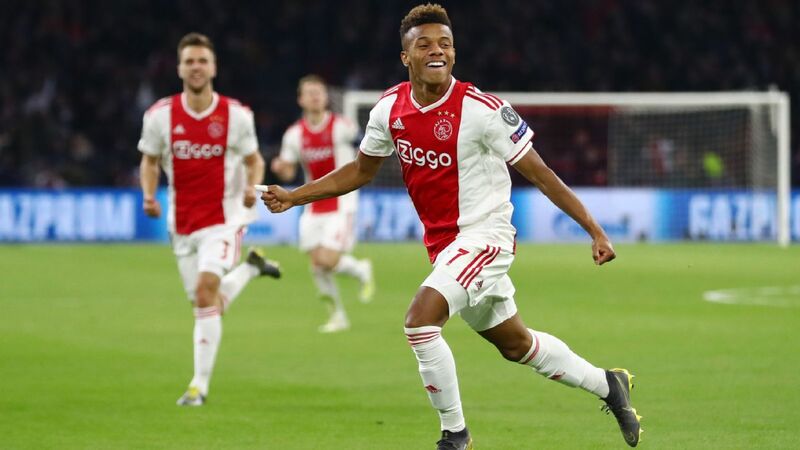 43 GMT: Ajax manager Erik ten Hag is determined to fight to keep his talented team together -- with defender Matthijs de Ligt and midfielder Frenkie de Jong targets for many of Europe's biggest clubs. "It is a compliment to us that so many are interested in our players but we do not want to let any of our regular starting lineup leave," he told reporters. "But we do know that the transfer window can be unpredictable and there are some processes that are already underway that cannot be stopped. "We will fight to try and keep this side together as we did last summer to keep Matthijs de Ligt, Frenkie de Jong and [goalkeeper] Andre Onana." 15.22 GMT: AC Milan are interested in signing Marouane Fellaini, according to Belgian news outlet Het Nieuwsblad. However, the Rossoneri face competition from Porto and Guangzhou Evergrande, with the midfielder "hurt" following the dismissal of Jose Mourinho as Manchester United manager. 14.57 GMT: Neymar's father has said a report in Spain which claimed he has been begging Barcelona to re-sign his son from Paris Saint-Germain is "fake news." 14.36 GMT: Departing Southampton forward Manolo Gabbiadini has tweeted an emotional goodbye to Saints fans after completing a move back to Italy to join Sampdoria. 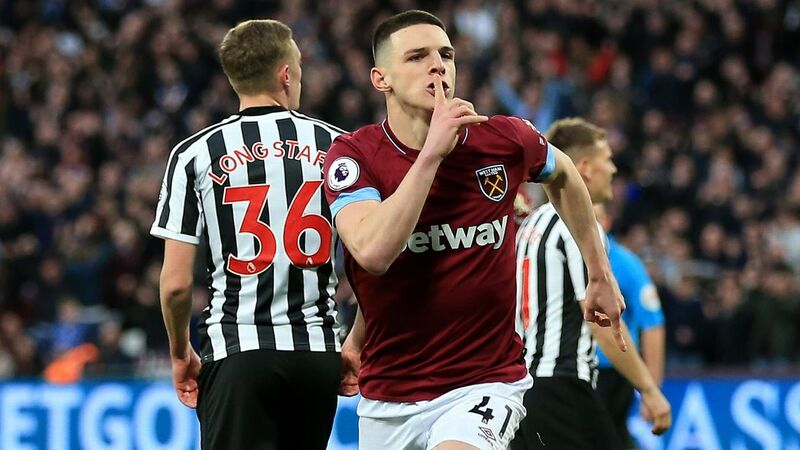 In the post, he recalls the support he received after his match-winning goal against Swansea last season which all but confirmed Premier League survival. 14.11 GMT: Is this is for Marko Arnautovic at West Ham? The Austria forward appeared to be waving goodbye to the London Stadium faithful after being substituted against Arsenal, amid reports of an imminent move to China. 13.48 GMT: Sevilla confirm they have completed the signing of forward Munir El Haddadi from Barcelona. 13.26 GMT: Struggling AS Monaco followed up the signing of Cesc Fabregas by reinforcing their midfield with Frenchman William Vainqueur joining on loan from Antalyaspor until the end of the season. Vainqueur, 30, has a calf problem but Monaco said on Saturday they had been won over by the motivation of the former Nantes, Standard liege, Dynamo Moscow and Roma player. The arrival of the ex-France Under-21 international, who had a loan spell at Marseille in 2016-17, comes after Spain international Fabregas signed a 3-and-a-half-year deal on Friday. Coach Thierry Henry is under pressure with Monaco second-bottom in Ligue 1, five points adrift of the safety zone. 🖊🇫🇷 L'AS Monaco est heureux d'annoncer l'arrivée de William Vainqueur en provenance d'Antalyaspor. Le milieu de terrain défensif est prêté jusqu'à la fin de la saison. 13.02 GMT: Clubs interested in signing Harry Kane now know how much they have to spend to land the England captain, with AS reporting Spurs have valued him at €350 million. That amount would smash the world transfer record, which is still the €222m PSG paid Barcelona for Neymar. 12.40 GMT: A report in Estadio Deportivo suggests Valencia are interested in signing RB Leipzig forward Moanes Dabour. However, they will face a battle from Liverpool, who are also keen. 12.13 GMT: Former Chelsea winger Arjen Robben has urged Callum Hudson-Odoi to join him at Bayern Munich. "He is one of the best [young players] in Europe," Robben told BeIN Sport. "You are better off getting your chance and if you get that chance then you have to take it. "For young players, it's always the same. First, you have to take the big step to achieve it. Become a professional football player at the highest level, get into the first team, get your place. "Then, second, which can be more important, what's sometimes missing is that you have to stay there. Staying there is often more difficult than actually becoming a footballer in the first place. "You have to prove it, game after game, season after season and don't be happy. Don't just be happy when you achieve something little or small." 11.26 GMT: After starring at the World Cup last summer, Mexico international Hirving Lozano is being linked with a €30m move to Napoli. Lozano has scored 11 in 17 Eredivisie appearances for PSV Eindhoven this season, with two Champions League goals. PSV are two points clear at the top of the table but Lozano might fancy a move to Serie A. 10.42 GMT: Alberto Moreno has found himself down the pecking order at Liverpool, making only two Premier League appearances this season -- the last of which came in October. According to The Sun he now wants to return to Spain in the summer when his Anfield deal expires. 10.11 GMT: Remember Odion Ighalo? Yep, the striker who was once tearing up the Premier League with Watford and scored 35 goals across 2014-15 and 2015-16. 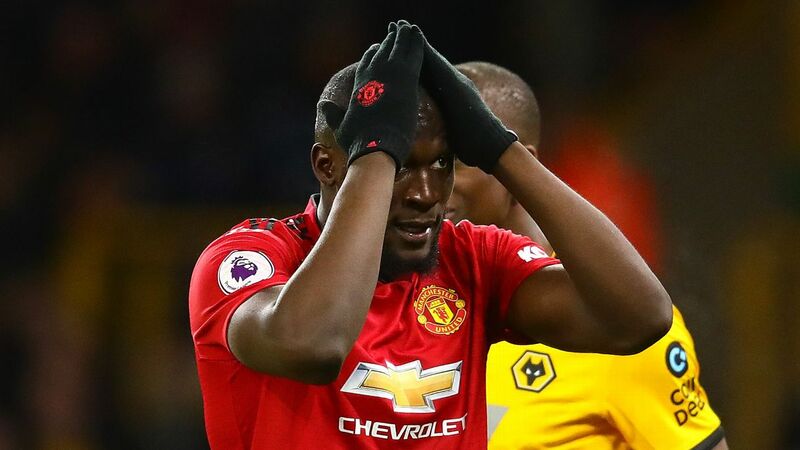 He was linked with a move to Manchester United around that time, but his career took a nosedive and he moved to the Chinese Super League with Changchun Yatai. Despite being one of the most prolific strikers in the league -- only Wu Lei scored more in the 2018 season -- his club were relegated on head-to-head record. Now Sport is reporting that... wait for it... Barcelona want to bring the player in on loan for the rest of the campaign with three Premier League clubs also interested! 09.34 GMT: Arsenal are being linked with a move to bring Belgium international Yannick Carrasco back to European football from Dalian Yifang, but the Daily Star says the Gunners will struggle to match the huge wages he is getting in the Chinese Super League. In what would be one of the more surprising moves of the window, Barcelona could make an increased bid for Chelsea's Willian, according to the Evening Standard. Malcom signed from Bordeaux in the summer for £38m and has struggled in Spain -- it seems so much that the Catalan club want to bring in a 30-year-old instead. Watford's Roberto Pereyra has been linked with his second Italian manager in as many weeks, with Tuttosport, via the Metro, reporting a link to Chelsea. Pereyra's agent name-dropped Maurizio Sarri in an interview while also mentioning Torino's Walter Mazzarri (who used to manage Pereyra at Vicarage Road). After his loan with Valencia was ended, it doesn't look like Batshuayi will stay long in London. According to Goal, his representatives have been in Monaco to discuss a potential deal, with another loan deal looking likely. 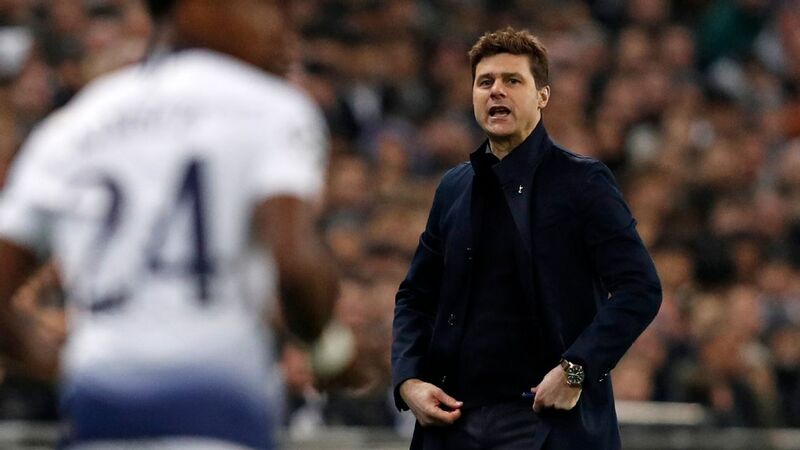 Southampton are looking to raise funds to give new manager Ralph Hasenhuttl some cash to spend and Everton are in the market for a new right-back. According to the Star, the Toffees are willing to bid £15m for the full-back as a replacement for 30-year-old Seamus Coleman. Morata could be given a route out of his unhappy time at Chelsea, according to Spanish paper Sport. 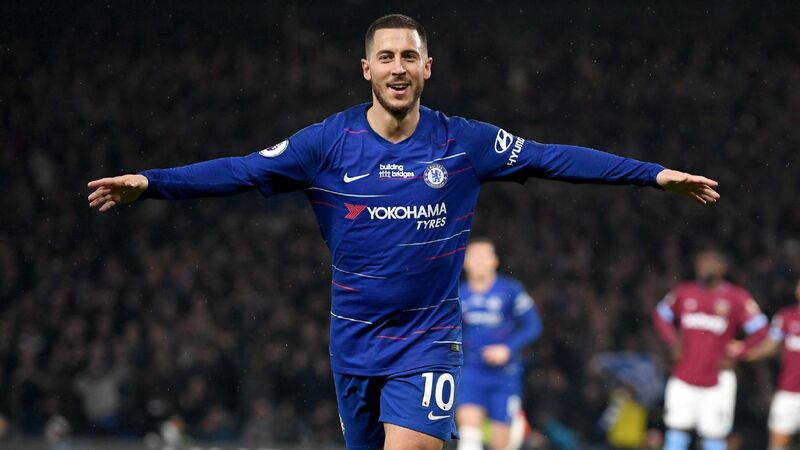 According to the outlet, Barcelona are interested in bringing in a striker and have heard that the Spaniard is available on loan, but want to hear the conditions of any deal before they submit a formal offer. In a bid to get Arsenal to close a deal to send Aaron Ramsey to Turin, Juventus are reportedly offering Medhi Benatia as a makeweight. Gazzetta dello Sport report that the 31-year-old could be used to sweeten the deal to get it done in January, although Calciomercato has also reported that Sami Khedira could be an option. 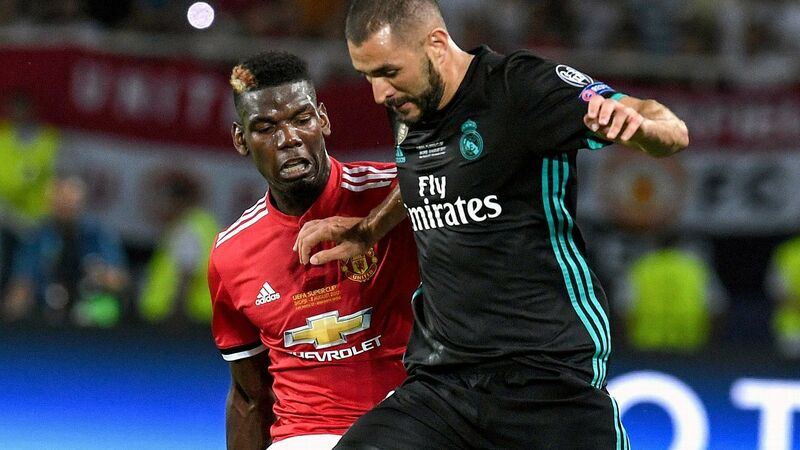 Seemingly destined to be wanted by the club he's just left, Pogba is wanted by Juventus (again, and still). Tuttosport report that the Old Lady of Serie A would be open to sending Douglas Costa, who was wanted by the club in the summer, the other way in order to secure the Frenchman.